One Million Pencils — Empower Playgrounds, Inc.
Empower Playgrounds has helped opened educational doors to thousands of students, but along the way we’ve learned that educating students takes more than a great facility. In addition to places to learn and study and a supportive community, teaching also takes a few very basic supplies. One of these supplies is the pencil--so small, inexpensive, and easy to get in the United States, that we often forget how vital they are to the learning experience. Thanks to modern technology many of us may not even use pencils in our everyday lives, and we forget that every education starts with this simple tool. So where does that leave students without pencils? In developing countries such as Ghana where millions of dollars are spent on providing basic facilities, the pencil often gets left behind. 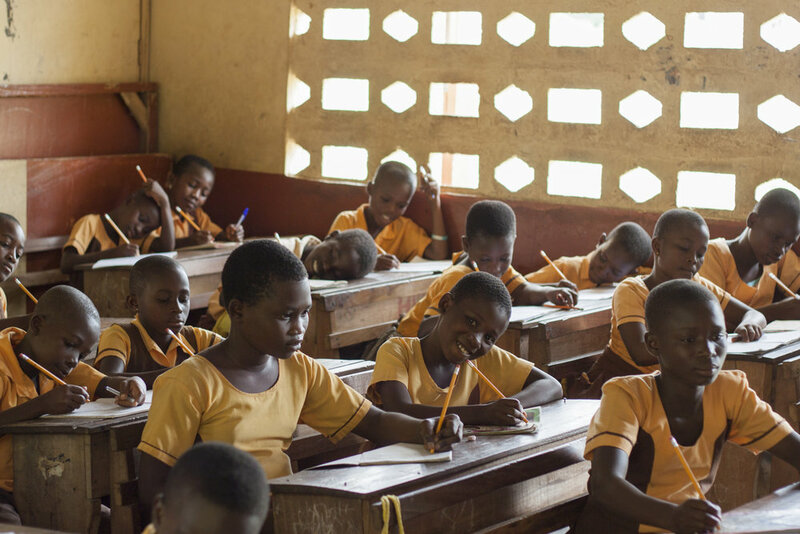 Ghanaian schoolteachers are acutely aware of this shortage--when supplies are lost, or stolen, or simply run out too quickly without being replaced, teachers must resort to frugally using writing supplies. Imagine going to school without a pencil--trying to learn math in your head and writing through recitation only. Consider all of the other doorways that pencils opened for you when you first learned to read and write. Pencils unlock the imagination, and writing and drawing with pencils is tremendously important to both the way that students consume and create. Empower Playgrounds does everything that we can to provide Ghanaian students with the tools that they need to succeed. In 2015, we began partnering with One Million Pencils for Africa to distribute pencils, in addition to light, to the students that we serve. One Million Pencils for Africa was founded by Meg Shriber in 2014. Meg, who was at that time a high school freshman, recognized what an important role pencils had played in her education as an artist and writer. After hearing about the cause in Ghana, she designed a line of pencils and began to use funds from her projects to send pencils with Empower Playgrounds to Ghana. Meg currently goes to UC Berkeley and her pencils can be found online at https://www.onemillionpencilsforafrica.co as well as in Bay Area museums such as the Exploratorium and the UC Berkeley student store. Today our partnership has allowed us to bring over 5000 pencils with us to Ghana. Whether they enable students to deepen their learning, help them discover a love of writing, or empower them to create something new, we hope that each pencil brings each child a little bit closer to reaching their potential. And they’re a bigger reminder not to take the simple things for granted: even the most basic of tools can allow us to make our mark. Newer PostCelebrate National Merry-Go-Round Day!